When Ellis Rogers is told that his idiopathic pulmonary fibrosis is terminal, he decides to try the impossible. By making a modified version of a scientific theory written by German scientist Gustaf Hoffman and published in the 1930s, Rogers hopes he can travel into the future and find a cure. There isn't anything to keep him in the present. Other than long-time friend Warren Eckard and wife Peggy, there isn't much holding Rogers to the present. After he and his wife lost their son, a devastating loss that left him shouldering the bulk of the blame, their 35 year of marriage had become largely unsalvageable. Most of the time, he took refuge in the garage where he tinkered. His tinkering led to the construction of a time machine out of improbable materials. The seat was salvaged from their old Aerostar minivan and nothing much more than plastic milk crates outlined the perimeter of the machine, dictating what area would find its way into the far future. Hollow World is a wildly speculative and fantastic read. The future that Rogers finds is much further ahead than he ever imagined. 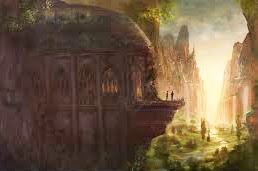 Humankind has taken refuge underground due to the peril of an environment that become increasingly hostile and often deadly. The trade doesn't seem terribly bothersome. The advancements of artistic holograms, atom reorganization, and portal transportation has created a world where people want for nothing. Except, this want for nothing isn't entirely true. Along with removing disease, undesirable emotions, and gender identity, genetic alteration has left humankind with only a handful of patterns that crave an individuality they left behind hundreds of years ago. And even the little bit that is left is in jeopardy. In an effort to wipe out misunderstandings, some citizens are working on the "hive mind" project that would link everyone together, indefinitely. Rogers weighs on both the beauty and repugnance of this fanciful world, taking most of it in stride while simultaneously thrust into an anomaly. Despite genetic safeguards that make humans mostly docile, he stumbled into an uncommon crime scene to witness an impossibly rare murder. His host, an attributor in a future where few disputes exist, teaches Rogers about things he never imagined to discover in the future — friendship, love, and loyalty. As touching as it is nostalgic, the story is a triumph with a flair for science ficiton noir. A couple of graphs about Michael J. Sullivan. Hollow World was a novel that the author never meant to write, given that Sullivan already had a solid schedule with several chronicles and series. His debut series, The Riyria Revelations, has been translated into fourteen languages. He started Hollow World as a short story for an anthology with a couple of known authors to anchor several new writers who had been selected from contest submissions. Once finished, he knew the story he really wanted to write was a novel and not a short despite it being a genre-crossing piece that detracts from his epic fantasy cred. It was for this reason Sullivan decided to self-publish with a little help from Kickstarter. The work was so well received, he found a publisher too. Hollow World By Michael J. Sullivan Opens 8.1 On The Liquid Hip Richter Scale. 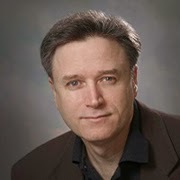 Michael J. Sullivan has his own interesting story in that his work never found traction until the day he decided not to write for commercial success but rather his daughter. As soon as he started writing for her and a few friends rather than the market, Sullivan found his muse. It wasn't until the third book that his wife compelled him to write. In many ways, Sullivan finds this magic again in Hollow World because it too is a labor of love rather than a book with market success in mind. You can find Hollow World on Amazon or download it for iBooks. The audio version can be found on iTunes, perfectly narrated by Jonathan Davis. 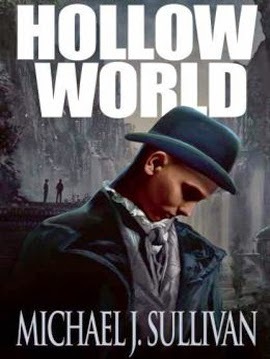 You can also find Hollow World by Michael J. Sullivan at Barnes & Noble. To learn more about the author, visit him on his blog.